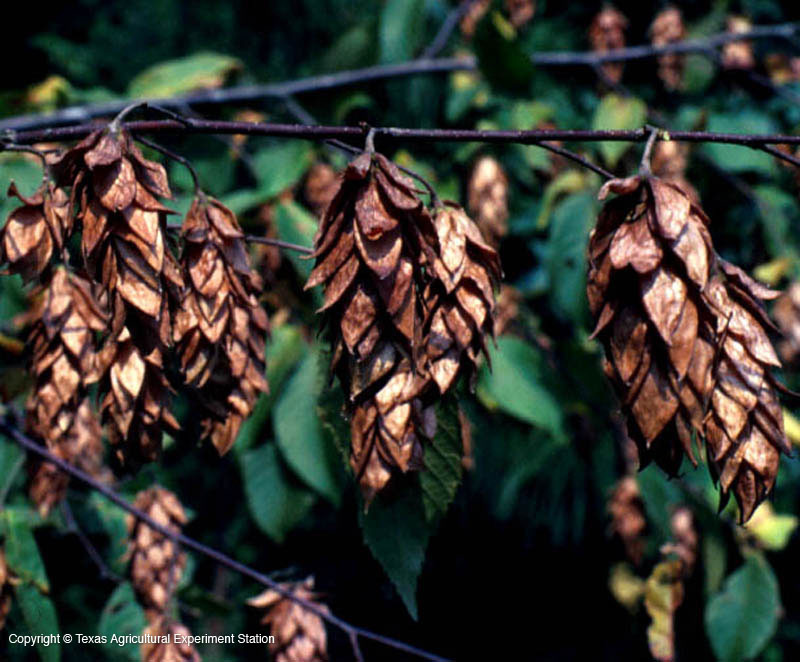 Eastern hop hornbeam is usually an understory tree in the east Texas Pineywoods, found on sandy ridges or flatlands of sandy loam. It is a graceful, tough, single-trunked tree, extremely slow-growing and pest and disease free. Although it is found only on acid soils, it adapts well to alkaline soils when planted in landscapes. It is usually 20 to 30 ft. high, but can grow up to 60 feet. 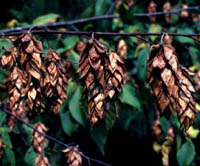 Eastern hop hornbeam often grows with American hornbeam (Carpinus caroliniana), with which it is frequently confused. It is distinguished by its sandpapery leaves and rough peeling bark, vs. the smooth leaves and bark of American hornbeam.